TAP Web, TV Series: The Artist's Process. Shows Info, Sites, Online Episodes. 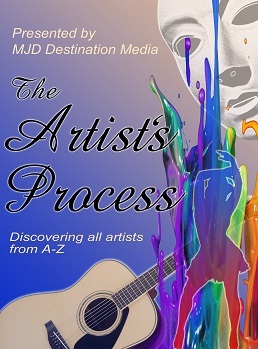 The Artist's Process "TAP" Free Web, TV Show, Series! The Artist's Process - "TAP" is a Top Free Web, TV Show, Series! An exciting hip show where Artists can perform, plus showcase their talent and skills! For example, Actors can perform monologues, scenes and improvisational skits; Singers can sing A Capella or to music; Bands can jam; Drummers, Keyboard players, Percussionists, or Guitarists can perform solos; Dancers can dance; Martial Artists can spar or do fight scenes; Comedians can do skits; Sketch Artists can draw; Painters can paint, Talk Show Hosts can do Interviews, etc. All episodes are filmed and edited professionally. Artists may be able to use the footage as their promotional tool! For free video updates, like us on Facebook, follow us on Twitter, and subscribe to us on YouTube plus eZWayTube! We'll only post episodes, pics, etc. Thank you. * Pre-Production - Season 3, Episode 3. The Artist's Process! * Australian Rock Band - 4 Wall Circus "Faceless"- Check them out! * Australian Pop Artist - Rob Meister "Without Love"- Check him out! * Artists Set to Appear on Upcoming Episode - Click here now! Watch The Artist's Process "TAP" Top Free Web, TV Show, Series, Episodes Online, using FREE YouTube Playlist! Watch One of The Artist's Process "TAP" Top Free Web, TV Show, Series, Best Episodes FREE Online on YouTube!